Colombia’s government is $25 billion short to effectively execute the 15-year peace process agreed with former FARC guerrillas and war victims, according to newspaper El Tiempo. The newspaper reported on Tuesday that it received a copy of the report of the Comptroller General’s Office in which the fiscal watchdog said that the government of former President Juan Manuel Santos gravely underestimated the cost of the process. Santos’ former post-conflict minister, Rafael Pardo, said last year that the peace process would cost around $42.5 billion over a 15-20 year period, and warned that this money had yet to be secured. 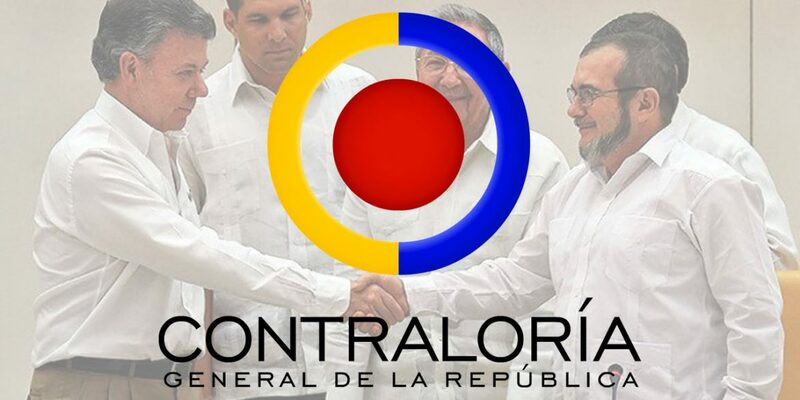 But according to the Comptroller General’s Office, Pardo’s estimates “prove insufficient to reach the objectives set in the final agreement” signed in 2016, and that another $25 billion would be necessary to effectively execute the peace deal, El Tiempo reported. According to the Comptroller’s Office, if the fiscal route of the peace agreement is not adjusted, its implementation could result in a fiscal deficit of between 0.4 and 1.1% of the GDP, because not all of the resources that will be needed are being taken into account. The Comptroller’s Office assures that it is necessary to add at least an additional 76.02 trillion pesos to the budget in order to cover this fiscal deficit. In its report that was sent to Congress, Colombia’s fiscal watchdog called on the administration of President Ivan Duque and lawmakers to take estimated problems with the execution of the peace process into account while defining the country’s budget, according to El Tiempo. Santos spent more than a year traveling to allied countries to seek foreign aid that would allow the execution of the peace process. While international political support for the peace process has been virtually absolute, only few countries effectively contributed financially to the government’s peace fund. Chronic corruption has diminished foreign confidence in the Colombian state. Sponsor countries and the European Union have often opted to contribute money to the United Nations or civil society, rather than the government’s peace fund.